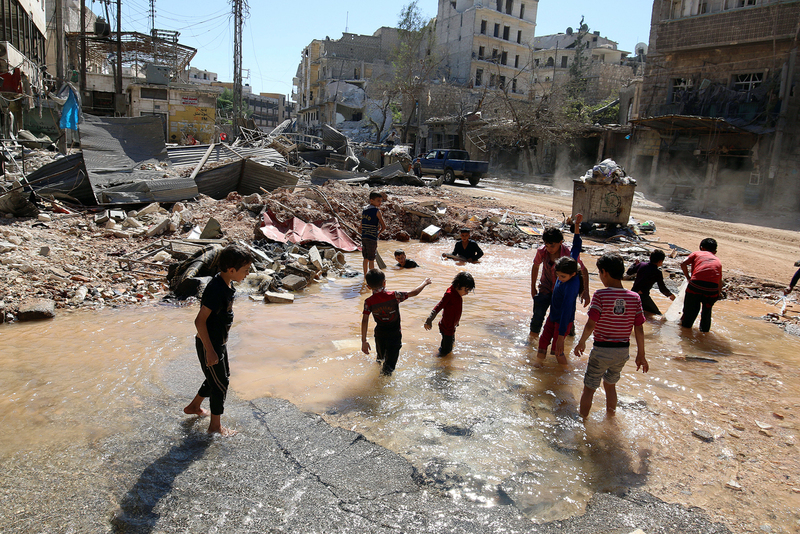 Humanitarian pauses were imposed in Aleppo during three days starting from Oct. 20. Russia’s and Syria’s warplanes perform no flights around Syria’s city of Aleppo. The no-fly regime will be extended, Sergei Rudskoi, the chief of the Russian General Staff’s main operations department, said on Oct. 25. "I would like to drew your attention to the fact that since Oct. 18, Russian and Syrian warplanes have been performing no flights in a ten-kilometer zone around Aleppo. The moratorium on airstrikes by Russian and Syrian aviation around this city will be extended," he said. Humanitarian pauses were imposed in Aleppo during three days starting from Oct. 20 when Syrian government troops stopped fire completely. Eight humanitarian corridors were open during these pauses for those willing to leave Aleppo: two corridors were meant for armed militants and for evacuation of the sick and the wounded, and six corridors were meant for civilians, Rudskoi reminded.